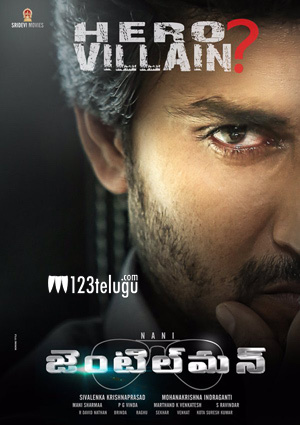 Natural Star Nani’s ‘Gentleman’ is all set for a release on the 17th of June. The movie is carrying a good report in the Industry and the audio album composed by Mani Sharma is proving to be popular. The film is coming after Nani’s ‘Bhale Bhale Magadivoy’ and ‘Krishna Gadi Veera Prema Gadha’, so expectations are high. The interesting trailer has managed to create a good buzz for the film. The film has also done very good business in all areas and producer Sivalenka Krishna Prasad is a very happy man. Indraganti Mohana Krishna has directed this movie and Nani is expected to be seen in multiple shades throughout the film. Surabhi and Nivedita Thomas are the female leads in the movie.